I did a search for quotes about independence since today is Independence Day in the US. 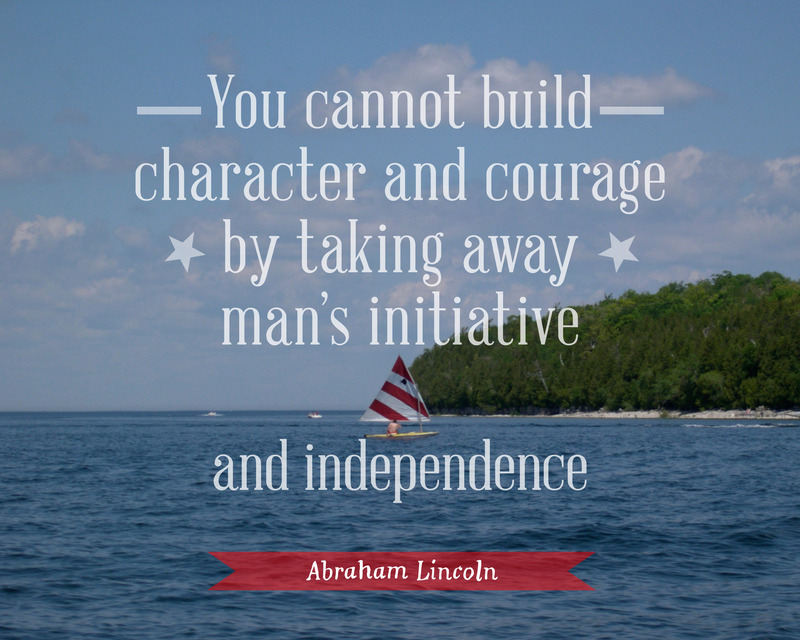 I chose this quote not just for the independence day reference but because it’s a great reminder that you become a stronger person with ambition and self-determination, two qualities that are especially important when you have your own business. Font used: Abraham Lincoln and Sister Corita.